This adorable plush bear has a big jumbo head for jumbo fun! 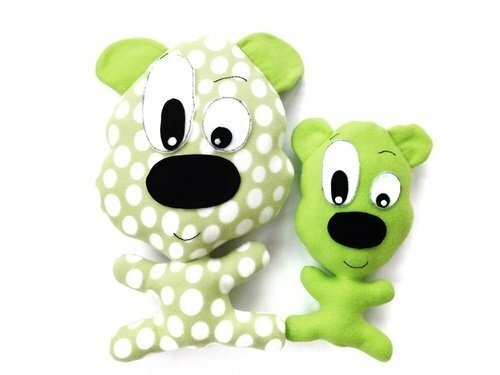 Create a customized bear for your little ones in their favorite colors. - 1 PDF sewing pattern with instructions and pattern pieces to sew a 14" and 20" plush bear.